The Professional Training Subcommittee provides in-depth training of advanced skills for mental health expertise and health related professionals. All professional workers with specialized professional training in psychiatry (e.g. psychiatrists, clinical psychologists, psychiatric nurses, occupational therapists) or who are likely in regular contact with clients with mental health needs (e.g. social workers, general practitioners, counselors). In 2002, lectures were delivered to General Practitioners in the Tuen Mun Hospital's Community Medical Programme. 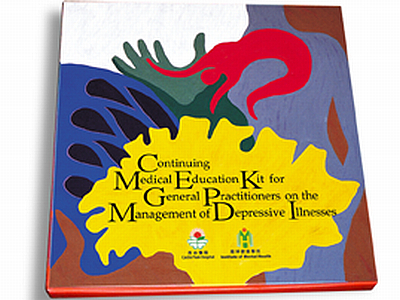 In 2003, a special training kit titled "Continuing Medical Education Kit for General Practitioners on the Management of Depressive Illnesses", which focuses on topics in the update management of depression and suicide, was developed and has been made available to interested general practitioners in Hong Kong. In February 2006, a special tailor-made induction course was organised for newly recruited staff of SKH Rehab Complex in preparation for their opening. Various professionals from IMH were invited to conduct training in the enhancement of skills and knowledge in helping clients with mental illnesses or learning disabilities. 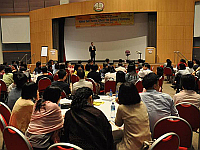 In June 2006, IMH co-organised with Tuen Mun Hospital and the Jockey Club Centre for Suicide Research and Prevention of the University of Hong Kong in conducting a Seminar on Suicide Prevention for General Practitioners. The main theme was to share the knowledge and skills in the assessment of suicide. In November 2006, IMH organised the first conference with a theme "From Hospital to Community - Psychiatric Care in the New Era". A total of 335 local and international guests attended the conference. In 2007, IMH was invited by New Territories West Private Practitioners' Network to run a “Certificate Course in Mood Disorders in Primary Care”. In May 2007, a five-day “Intensive Training Course on Cognitive Therapy” was successfully held for over 60 mental health professionals. From 29 October 2008 to 3 January 2009, IMH organised an eight-session training module for non-psychiatric colleagues named “Mental Health Training Module for Colleagues in NTWC”. In March 2009, IMH organised a half-day seminar on “Domestic Violence – New Perspective”. Five speakers from different professions were invited to present on different topics in domestic violence. In June 2010, IMH organised “Two-day Workshop on Positive Psychology for Professionals”. In February 2011, two risk assessment workshops were held in order to strengthen healthcare professionals on using risk assessment tools. In September 2011, IMH organised the second conference with a theme “From Science to Practice – Striving for Excellence in Mental Health Care”. In September 2012 and November 2013, Prof. Jesse H. WRIGHT from the University of Louisville in USA was invited to deliver Cognitive Behavioral Therapy (CBT) Training and Advanced CBT Workshop respectively. 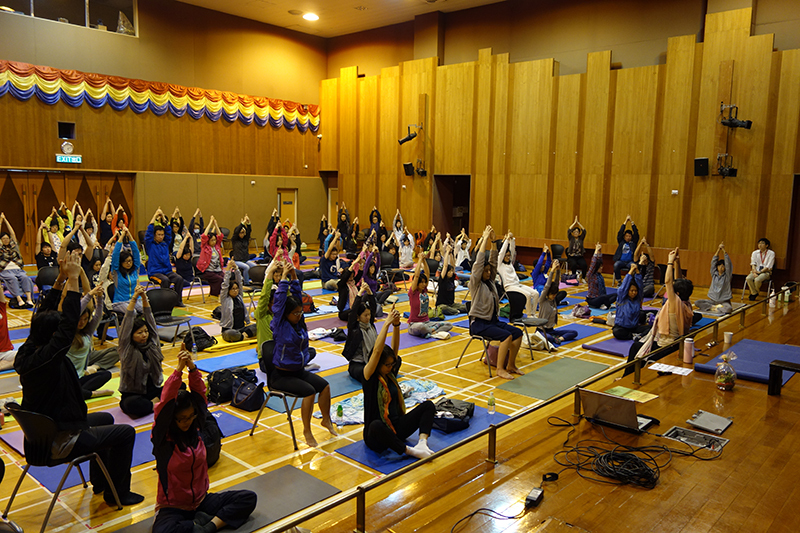 Over 100 professionals and health care professionals participated in each programme. In September 2014, Prof. Anthony W. BATEMAN from the Halliwick Unit, Barnet, Enfield and Haringey Mental Health Trust, London was invited to conduct a three-day basic training on Mentalisation Based Therapy (MBT) for mental health professionals who need to manage patients with borderline personality disorder. 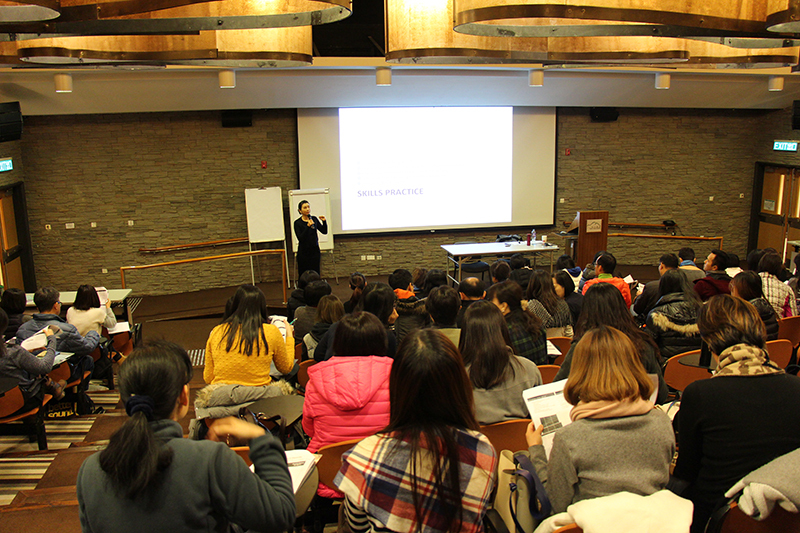 In March 2015, Dr. Helen MA, registered Clinical Psychologist and experienced trainer in mindfulness, was invited to conduct a one-day experiential workshop on “Nourishing Ourselves with Mindfulness”. The workshop introduced the basic concepts of stress reactions, mind-body medicine and mindfulness in order to enhance the participants’ well-being through the application of mindfulness in their daily lives. In December 2015, Dr. Neha CHAWLA, a licensed Clinical Psychologist and co-creator of MBRP from the United States, was invited to conduct a two-day workshop on “Mindfulness-Based Relapse Prevention (MBRP) for Addictive Behaviours”. The workshop enhanced participants’ knowledge in providing aftercare services for patients who suffered from addictive behaviours. In May 2016, Dr. Helen MA, registered Clinical Psychologist and experienced trainer in mindfulness, was invited to deliver a re-run of one-day experiential workshop on “Nourishing Ourselves with Mindfulness”. In November 2016, Prof. Mark DADDS, an experienced Clinical Psychologist in Australia was invited to conduct a one-day workshop on “Integrated Approach in Treating Child Conduct Disorders”. The workshop introduced strategies which can be used to handle behavioural problems of children. In February 2017, IMH invited Dr. Suzanne SO, Assistant Professor of Psychology at the Chinese University of Hong Kong (CUHK), and a registered Clinical Psychologist of the Hong Kong Psychological Society (HKPS), to deliver a two-day workshop on “Evidence-Based Cognitive Behavioural Strategies for Depression and Anxiety”. The workshop introduced the up-to-date strategies for cognitive behavioural therapy in treating common mental disorders. In October 2017, Dr. Robyn WALSER, a world-renowned Clinical Psychologist from the United States, was invited to conduct a “Basic Training in Acceptance and Commitment Therapy and its Application in a Busy Clinic” two-day workshop, explaining the basic concepts of Acceptance and Commitment Therapy to the participants. In February 2018, IMH invited Dr. Melanie FENNELL, Clinical Psychologist from Oxford Mindfulness Centre, to deliver a two-day workshop on “Cultivating Self-Esteem: A Transdiagnostic Cognitive-behavioural Perspective”. The workshop analysed how to help clients with low self-esteem from a cognitive-behavioural perspective.